Technology degree programs of all types may enjoy booming enrollments these days, but which diplomas are the most useful for next year’s grads? While computer science is a perennial favorite (and always a good choice for students), other paths of inquiry are rapidly gaining in popularity among those who want lucrative and fulfilling careers once they graduate school. 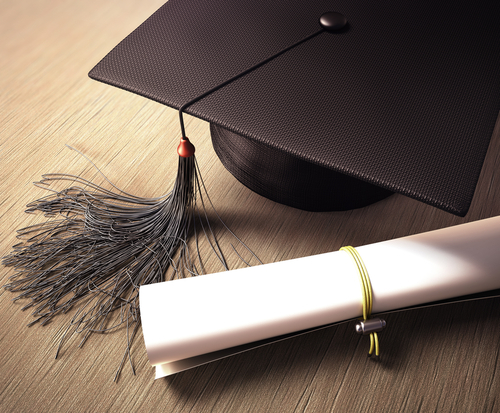 These five top tech degrees for 2015 (and beyond) are shaped by changes in the global economy, industry and technology. They may also contain a couple of surprises. “There’s been an American Renaissance in hardware and hardware design; you only need to take a look at Kickstarter or the popularity of Tesla to see it happening,” David Yang, placement coordinator and lead instructor at the Fullstack Academy of Code in New York said in an interview. Yang’s assessment is borne out by enrollment statistics at universities across the U.S., most notably MIT, which saw more degrees awarded in their Electrical Engineering-Computer Science program than in any other division. It’s easy to see why: U.S. startups are experiencing a period of intense growth and need people capable of rapidly prototyping hardware designs, taking them into manufacturing, and scaling up production. Click here to find electrical engineering jobs. “In demand” would be an understatement for this degree, a relatively new offering that bridges the gap between engineering and medicine. According to the U.S. Bureau of Labor Statistics, employment projections for the field are up 27 percent through 2022, reflecting the massive, rapid changes in the healthcare technology industry. Here’s an example of biomedical engineering’s popularity: at Arizona State University’s undergraduate School of Biological and Health Systems Engineering, enrollment for the biomedical engineering program is superseded only by that of the most popular computer science and mechanical engineering degrees. The rapidly expanding field encompasses several disciplines, including Big Data, biology and the research and development of diagnostic and therapeutic medical devices. Click here to find biomedical engineering jobs. Ann McKenna, professor and director of The Polytechnic School at Arizona State University said the school’s information technology program is experiencing explosive growth: “We’re only in our second year of offering it… but we went from having no program to having hundreds of students enrolled this year.” IT degrees at ASU can be completed both online and in the classroom, with McKenna noting that their online enrollment is currently higher. Click here to find information technology jobs. 3D modeling, animation and multimedia are used with increasing frequency in industry, and employers not only need team members who can handle the technology of the creative elements, they also need those who can manage its use and distribution. Mckenna said her school’s GIT program, which has been around for several years, has been ramping up in enrollment. Click here to find graphic-information technology jobs. Do not demonstrate any loyalty to companies that are with solid offshore outsourcing plans. One may learn much more about “bottom line” priorities than about their own career opportunities at them. The economy is sputtering at best. “Intense growth”? Where? Come back next for a new list of “hot” tech degrees. Sheesh, this is getting as bad as Yahoo.